fuel consumption Archives | Eckert & Associates, P.A. 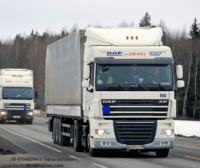 Will Platooning Get a Chance? Contact Us About Your Downtime Claim Today!